Summer is in full swing. It is hot. When I saw these ice cream sandwiches in an recent issue of Cooking Light, I knew we had to make them. I knew they would be the perfect after-swimming treat. I tore out the page and put in my recipe-holding-clip-magnet on the fridge for a later date. Then my daughter told me that she wanted to make Ice Cream Sandwiches for our next Cooking School subject. She saw the recipe and decided these would be perfect. In the back of my mind I remembered another ice cream sandwich I had been wanting to try and so, we had to do a double whammy, making two types of ice cream sandwiches. Luckily, my sister and brother were here, so they were able to help make and consume both of these treats. We made the cookies part of both of these recipes first. Then we mixed up the different ice cream mixtures and proceeded to put the sandwiches together. We used Edy's Slow Churned Vanilla Bean ice cream in both sandwiches. Now, let me say that I have never had a margarita, so I don't know exactly if these replicate the same flavors, but the combination of a soft, chewy sugar cookie, that is loaded with lime flavor and a splash of salt, and the lime sherbet/vanilla ice cream filling, was really good. The cookies were also delicious on their own. This was made known by the fact that my brother polished off quite a few of them. The Classic Ice Cream Sandwiches pictured above were just like a ice cream sandwich that you would get from a box at the grocery store, except better. The chocolate cookie was soft and perfectly chocolate-y. They were amazing. Either one of these would be a great ending to a 4th of July picnic or meal. I am only now realizing how much I love ice cream sandwiches. Homemade are so much better than the store-bought. That margarita one might have to be on our weekend docket. 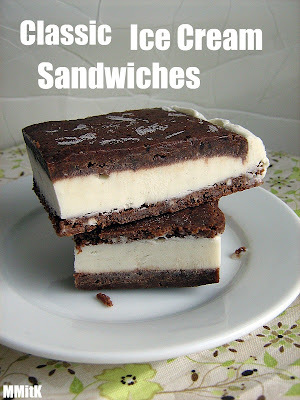 I love the ideas for these ice cream sandwiches! I never would have thought of margarita ice cream sandwiches! 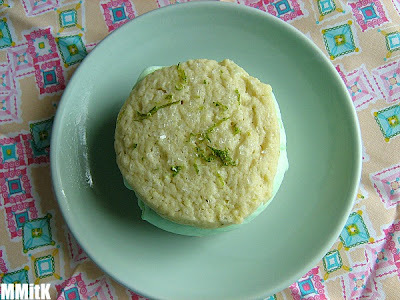 Great post - SO delicious - margarita ice cream sandwiches sound just about perfect for a hot summer day! Will have to try as my siblings would love this. I found your from La Nourriturea as she follows me and I her blog which is neat.